Over 74,000 spectators, at the sell out Joshua V’s Takam fight at the Principality Stadium in Cardiff, saw Anthony Joshua retain his WBA ‘super’, IBF heavyweight and IBO heavyweight titles with a win! Even when faced with the last minute change in opponent, Joshua came prepared and READY to become the champion. A lot like the LED Tour Batten TW from eLumen8, a rugged, rental-READY fixture with 10 x 10W tuneable warm white LEDs, the ideal lighting choice to start this momentous battle, and the biggest event the batten has been featured on to date! Illuminated by 24 of the eLumen8 LED Tour Batten TW, Joshua was chanted by fans when he made his ring entrance to one of his biggest fights. 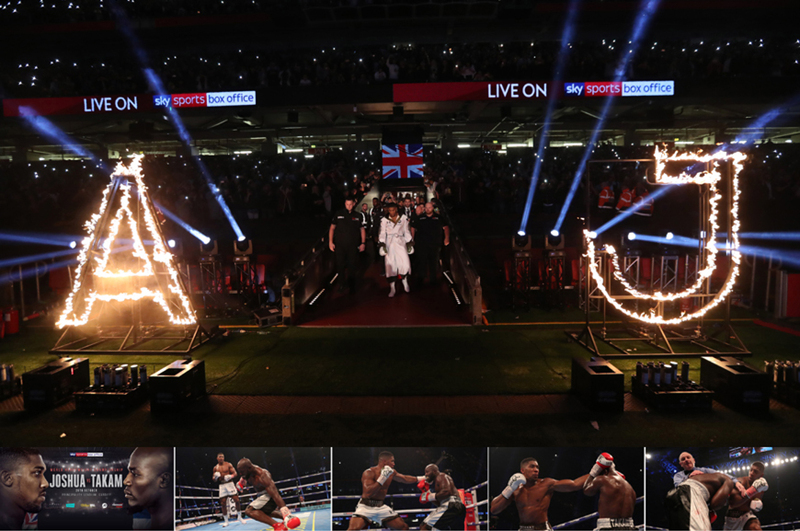 At the end of the tunnel, filled with immense light from the powerful sunstrip alternative, were Anthony Joshua’s initials ‘AJ’ in flames. It just so happens these are the same initials as our very own Managing Director, Andrew Jeffrey, the Prolight Concepts Groups’ very own champion! Not only does this retro halogen style effect offer a substantial 85% power saving, but no dimmer is required along with no costly lamp changes, thanks to its tuneable LEDs with a variable colour temperature between 1600K–2900K, ensuring years of faultless operation. When dimmed, the fixture can emulate a traditional halogen lamp with an orange glow similar to a sunstrip. These eLumen8 battens are fast becoming one of the most popular fixtures in the rental and event markets, not only loved by audiences and hire companies but by lighting designers, in fact the lighting designers for the Joshua V’s Takam fight stated that this was their champion fixture at the event and currently the best product available to them. 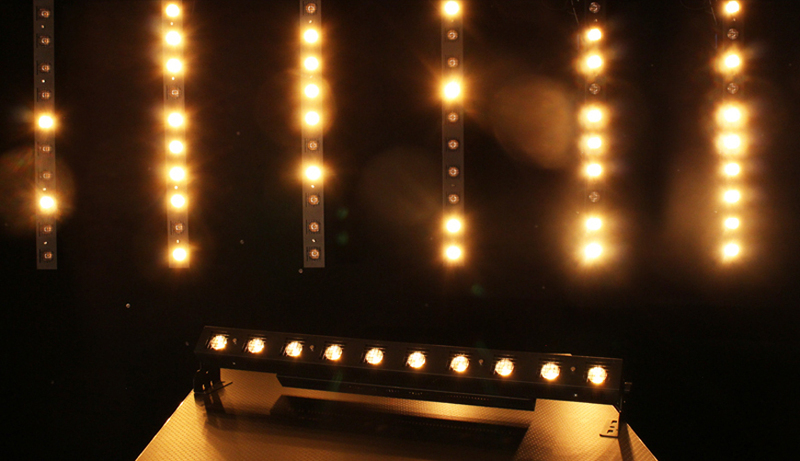 Champion the eLumen8 LED Tour Batten TW for your next event! The eLumen8 LED Tour Batten TW is available now. For full product details click here. Prolight more visual than ever before!